Elmex is a pioneer in the field of electrical wire termination technology in India. Its journey began in 1963 as a manufacturer of Terminal Blocks (Din Rail Mounted Connectors) for the switchgear industry. Steered by the vision of our founder-chairman Mr. J. D. Ray, it is today regarded as one of India's leading manufacturers of terminal blocks. Elmex is a pioneer in the field of electrical wire termination technology and a leading manufacturer of terminal blocks in India. 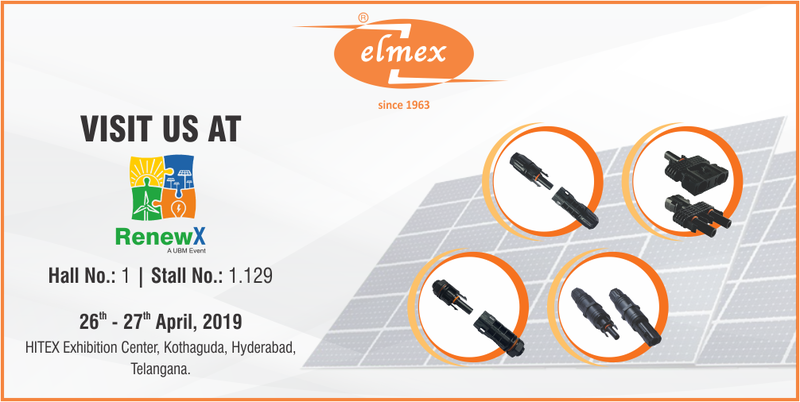 Adding another feather to the cap, 'elmex' grabs the gold award for being the ‘SOLAR CABLE CONNECTOR COMPANY OF THE YEAR’. Kudos to the team for all the hard work!